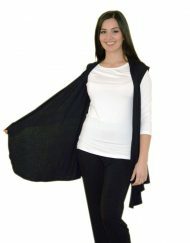 The Bamboo top with half sleeve comes with a matching bamboo vest. 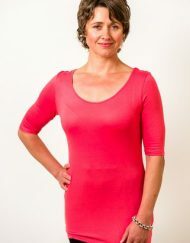 Our top is fashionable garment that can be worn all year round as bamboo like silk is a transeasonal fabric. They come with elbow half length sleeves. Sizes S-XL. 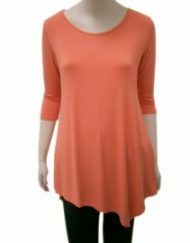 Can be worn over or under any garments. NB: Sorry we have sold out of the L/XL black vest. 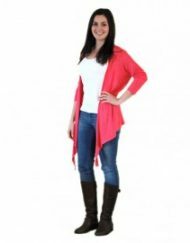 As you can see with the model – she is wearing the mauve bamboo top with the bamboo mauve vest over it making it a lovely outfit for layering. 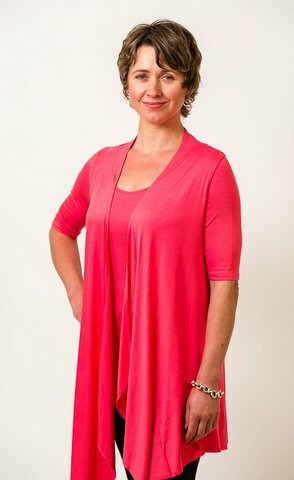 All colours have matching same coloured vests in bamboo fabric. 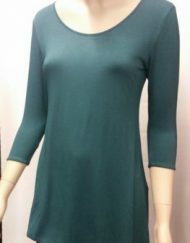 The bamboo tops with flattering half sleeves are ideal to wear when travelling as they are so soft and comfortable to wear anywhere. Wear it in several ways. The natural bamboo fibre has several properties such as breathability ensuring they are warm in winter and cool in summer. They also offer UV protection against harsh sunlight and are antimicrobial and antibacterial thus minimising any unpleasant odours.